Who wants to help us spread the love for makeup one product at a time? If you’re a beauty enthusiast with a knack for marketing and sales, we’d love to partner with you! 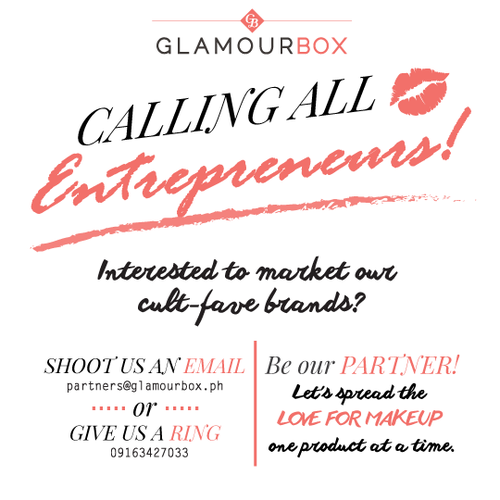 Just e-mail partners@glamourbox.ph or call us at 0916-342-7033.